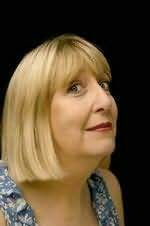 Lynne Truss is an English writer, journalist, and professional pedant best known for her popular book Eats, Shoots & Leaves. "A perfectly judged moment of comedy... I laughed out loud at the same point every time I read it." "Anyone who has ever unashamedly loved an animal will read this book with gratitude, for its understanding of an emotion that ennobles us as human beings, whether we value it or not."